Delicate, unique, beautiful beaded feather earrings. Each one is different. Made by a Cherokee artist. 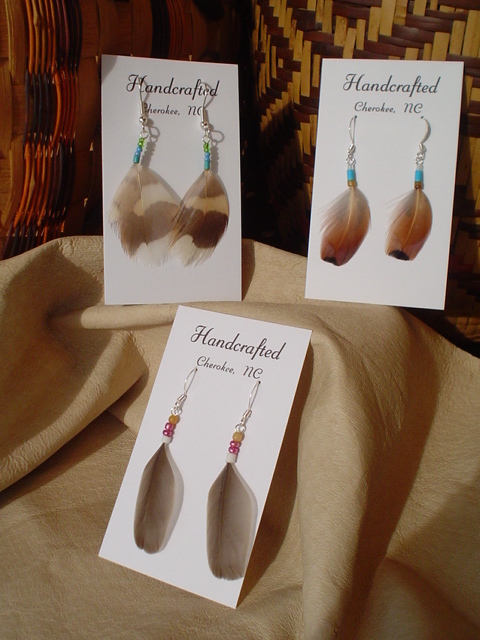 Real natural feathers and delicate trade beads. Colors vary. Use for hair, car mirror, etc. No two are identical. 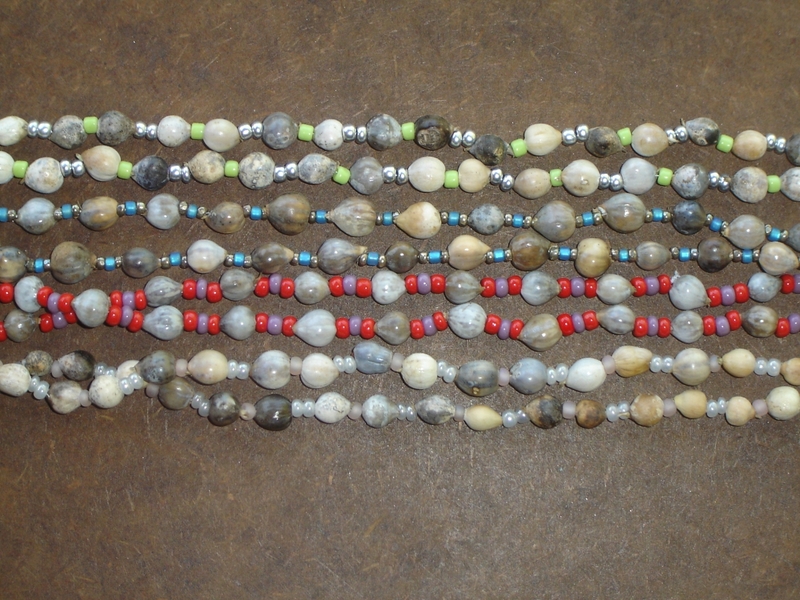 Beautifully made by Cherokee artisans, these necklaces contain the legendary cornbead used as a remembrance of the tears shed on the Trail of Tears. Beautiful and delicate made by a local Cherokee Artist. Porcupine quills, delicate trade beads, leather tie strap. Beautiful seed beed jewerly. 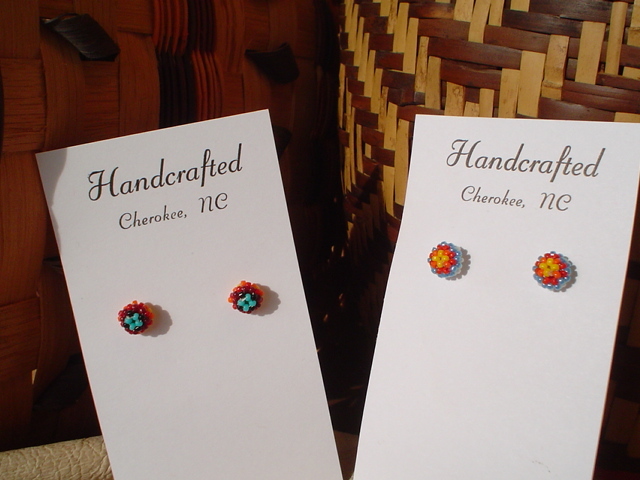 Handmade by a Cherokee artist. Colors vary.